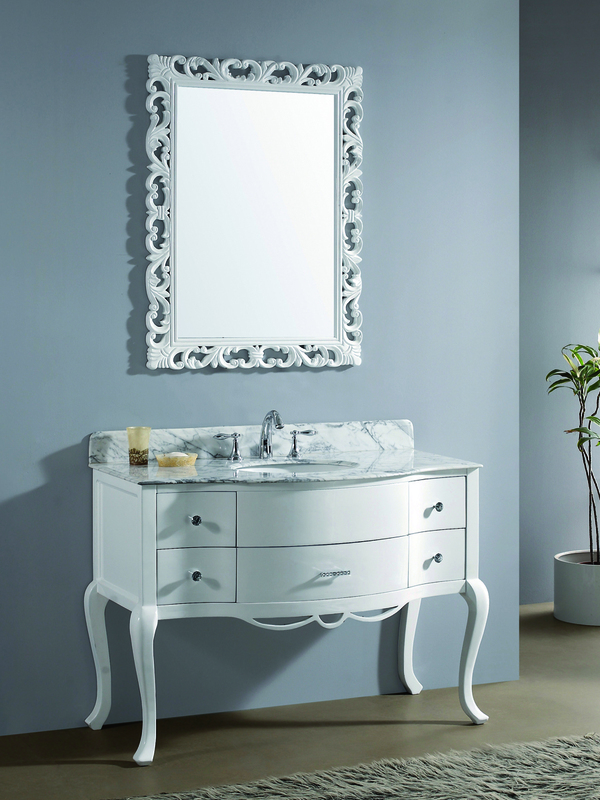 Riding the cusp of overflowing antique innovation, the 47.5" Charlotte Single Vanity is a refresh of tried and true design motifs. 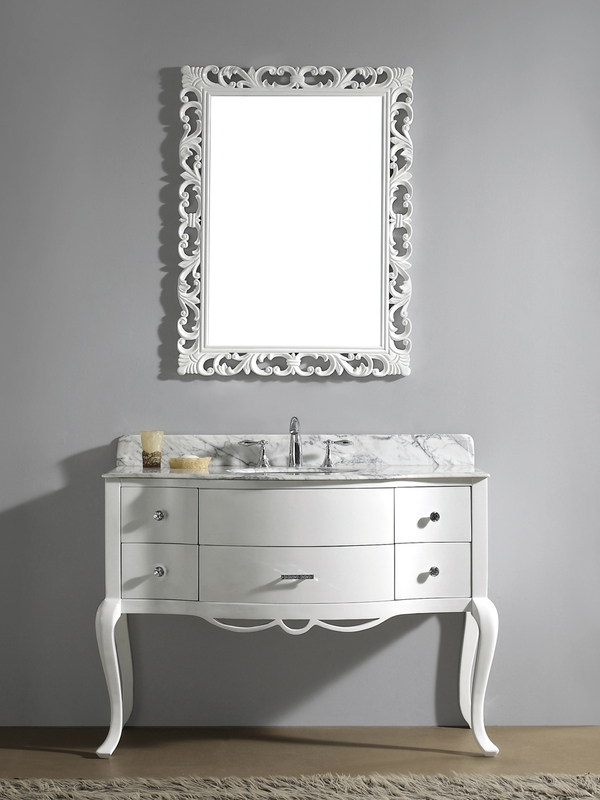 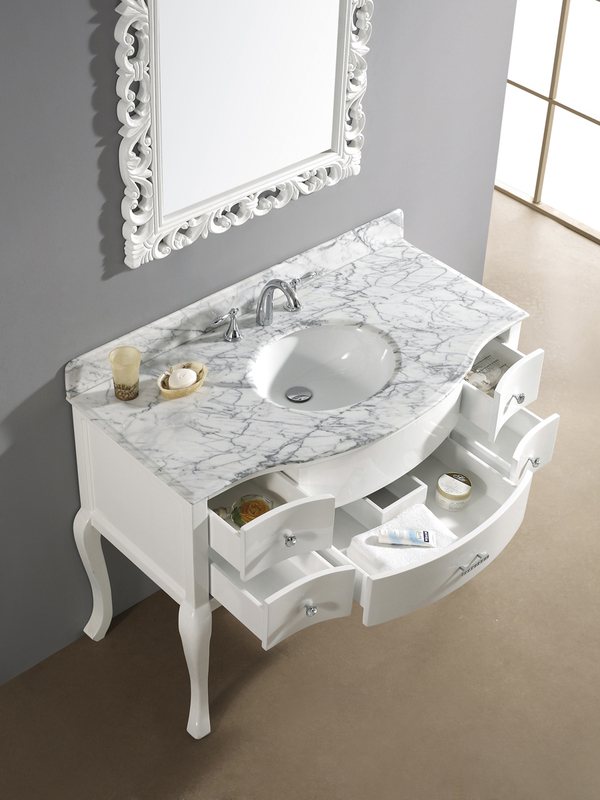 The solid oak construction of this brilliantly white vanity will glisten in just about any traditionally designed bathroom. 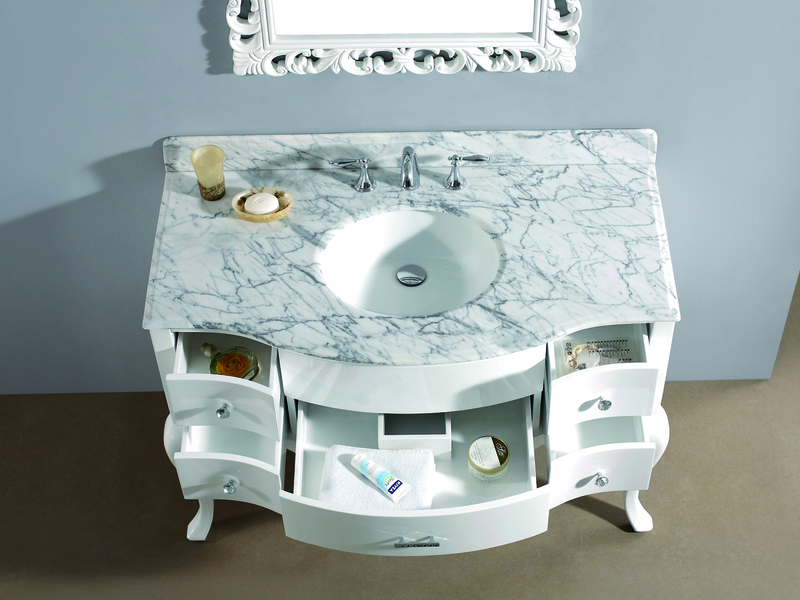 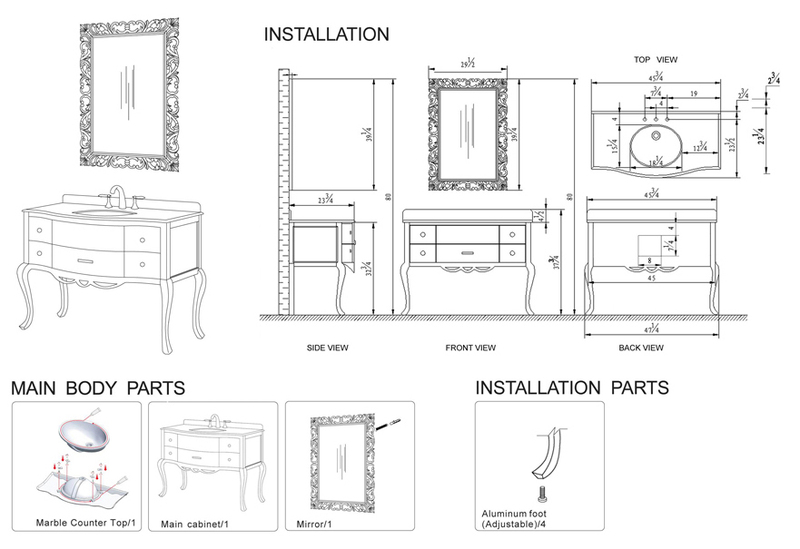 The Lepidus features 5 drawers, with 4 of the smaller drawers positioned to the left and right sides of the cabinet, and one larger drawer that sits underneath the preinstalled white porcelain bowl. 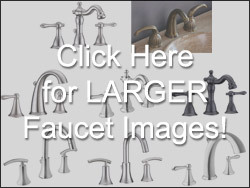 The pictured faucet is sold seperately, but the pictured matching mirror IS included with this purchase.